A year ago today, I was in hospice care at home. 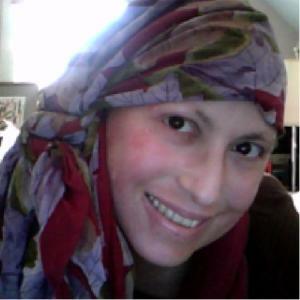 For many years I lived with a rare lymphoma and a few other cancers, I’ve lived at end stage for far longer than anyone could ever have anticipated. I’ve had extra, and I know that, I’ve been truly blessed. 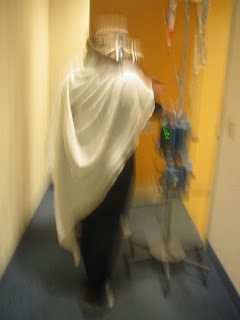 By August 2011, my time was short,because of the nature of the main lymphoma I have to live with. I had so much tumor activity that I could no longer walk, use my hands, or see. So, hospice it was. My only chance at more time would be a stem cell transplant, and for Jewish people, finding a donor is not easy, since so few of us register. We must run drives and search for our matches, and most often, we do not find them. I was so grateful to be where I was, able to see my loved ones OK, able to know that life is so good, I was grateful for what I had, and I understood the odds against finding my match. I’m poor and live alone with my daughter, I couldn’t fund or run any drives. One of my cousins in Brooklyn had a drive for me, but no match came of it. Then, in June 2012, a donor was found, a perfect match! I was given multiple chemo-therapies for months, trying to get me into shape for a transplant. Finally, I was ready, and my transplant was scheduled for December 7. The day before my scheduled transplant, as I was packing to go to the hospital, we lost my donor, they had a medical issue that precluded their ever donating. Well, yes, it was a disappointment, but then I had a dream, over and over, people were telling me that I had found 10,000 donors, that I had saved lives and I awakened from that dream and began to talk, and talk, and talk to anyone who would listen, to ask them to register, to teach them how important it is. My dream is to change the culture of donation, to get folks to register when they turn 18, for registering to be a rite of passage, akin to getting a driver’s license or registering to vote. I got asked to be on Channel 11 in New York City’s Help Me Howard segment, and I went. I spoke about the importance of registering, for everyone. I’ve had a few dozen drives around the country so far. I’m trying to raise funds for donors and drives. It isn’t easy, since I’m very ill, but I do my best, and I have a wonderful team to help me, the Icla Da Silva Foundation, an affiliate of Be The Match. I may not have a match, but I want to change the future, I want it to be rare for someone to need to look for their match — after all, the fact is that we each have hundreds or thousands of matches alive at all times, they just don’t know that they are needed. If we all register at 18, everyone would have a match, even folks like me, Jewish folks, with rare genetics shared by less than 1% of the human race.